A Dutch illustrator and painter, Collin van der Sluijs translates his intimate, daily pleasures and struggles into a unique visual language. 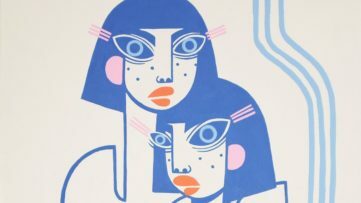 Known for mesmerizing representation of everyday stories, he has forged a visual style that is instantly recognizable. Through his art practice, he explores our lives, but also society at large. 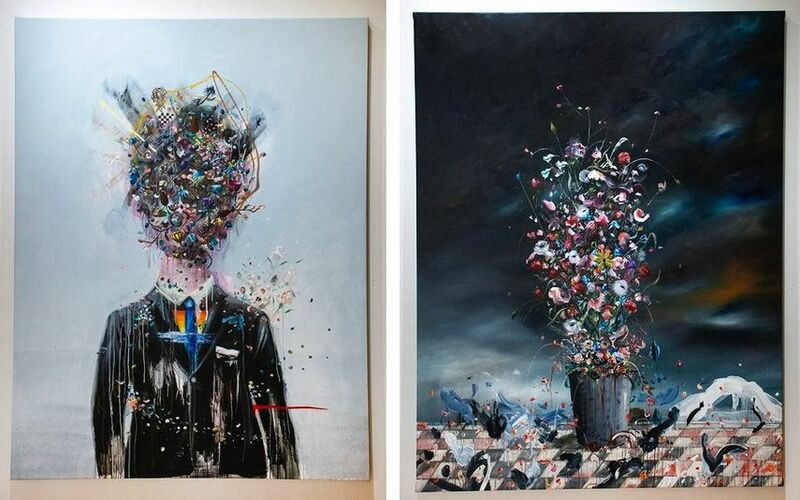 His latest body of work will soon be on view in his second solo exhibition at Vertical Gallery in Chicago. Titled No Concessions, the show will bring together a collection of large-scale paintings and smaller drawings. Living and working in Maastricht, The Netherlands, Collin Van de Sluijs became immersed in art at a very young age. 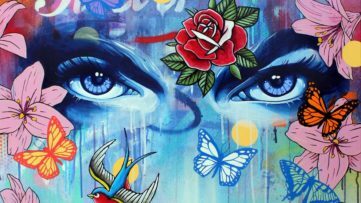 He started writing graffiti at the age of eleven, while the age of twelve, he started his studies at the professional painting college in Goes. The next eight years of his life he dedicated to studying various art disciplines in different schools across the country. 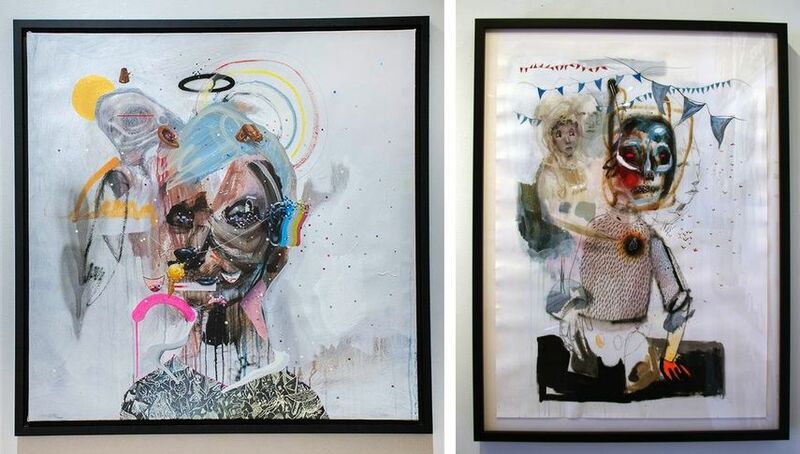 Gaining international recognition for his unique aesthetics, his work has been published in a variety of magazines and books and shown in galleries worldwide, including The Netherlands, Germany, USA, France, England, Belgium, Italy, United Kingdom, and Spain. The demand for his murals and studio works has only been increasing over the years. One of the fascinating things about Collin van der Sluijs’s practice is the breadth of influences and visual languages he applies. 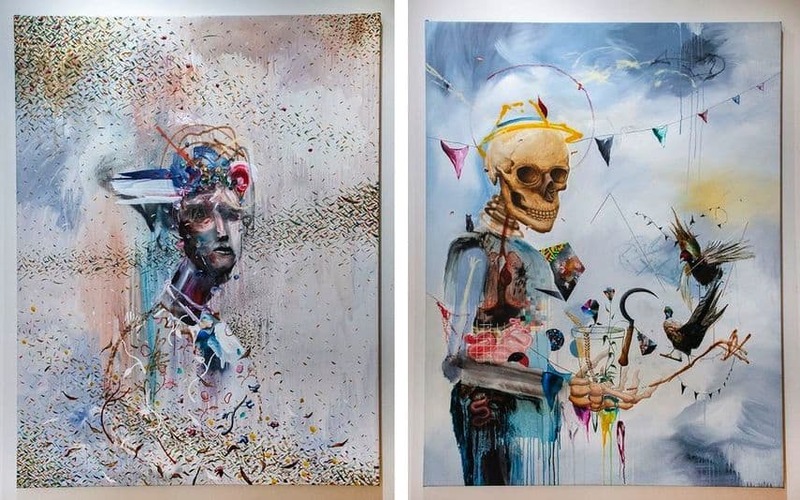 His work has often been described as Street Art with a highly saturated gritty urban color palette, executed in a style that resembles both Monet and Basquiat. His works feature beautiful and delicate portraiture of children and little furry creatures, but the artist also frequently examines themes of the natural world such as the cycle of life, the depictions of various species of birds, and the psychology of beings both human and animalistic. Using drips, crude white lines, spray paint and collage, he exhibits an uncanny talent for creating texture. 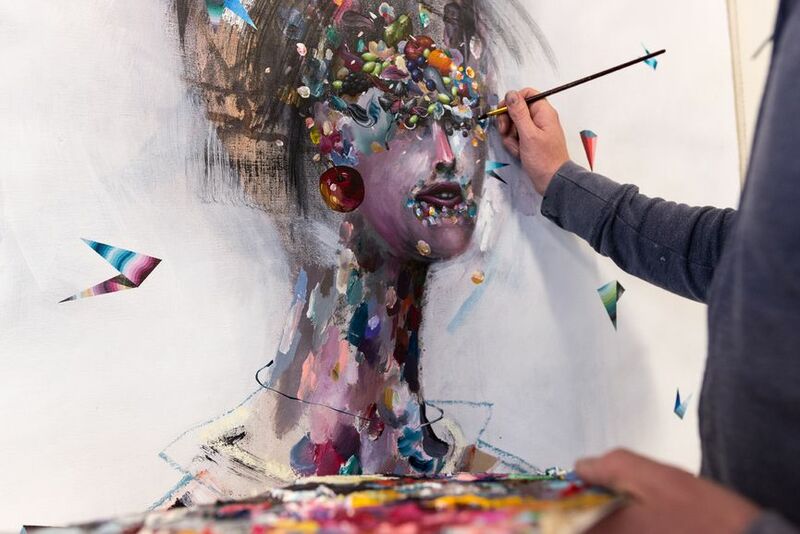 Approaching the creative process with intuitive, non-mediated communication between the brush and the surface, Collin van der Sluijs creates complex and rich images characterized by captivating hues and visual elements. The exhibition No Concessions will be on view at Vertical Gallery in Chicago, USA from June 2nd until June 23rd, 2018. The opening reception will be held on June 2nd, from 6 to 10 p.m, in presence of the artist. 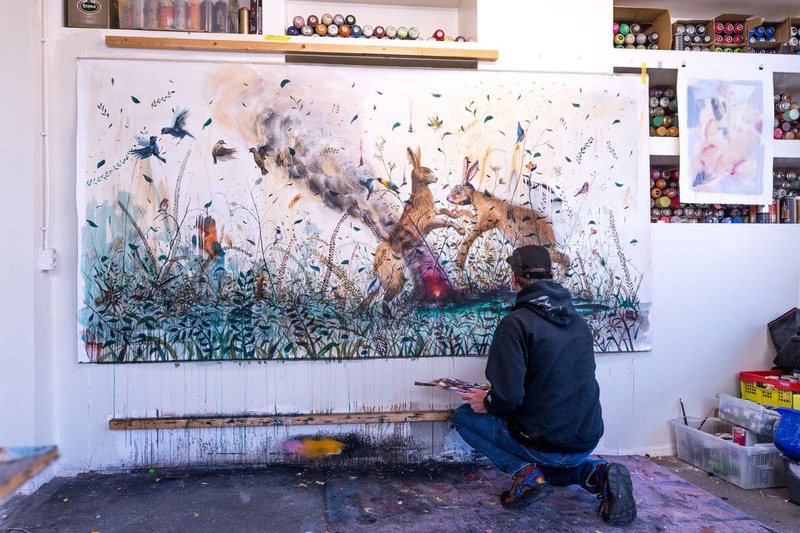 Featured images: Collin van der Sluijs in his studio, 2018. All images courtesy of Vertical Gallery.